Gold, that mysterious yellow metal is one of the most sought-after materials by man. Its very name is synonymous with treasure. Fewer than 200,000 tons of gold have been mined throughout all of human history, making it one of the rarest materials on earth. There is little wonder why gold is regarded as a “standard” for measuring monetary value and remains a very popular investment vehicle. The price of gold and silver tends to move in the opposite direction of paper assets. When financial markets are in turmoil, when the global economy slumps, when fears that some nation might default on its debt arise, gold prices go north. If you are somebody who thinks that our current economic decline has bottomed out, then maybe it’s time for you to think about selling some of your gold and silver. Indexed on this website are the names of more than 6,000 precious metals dealers, coin shops, jewelry stores and other merchants willing to pay you cash for your unwanted gold, silver and other precious items. In addition to that, current price charts reflecting the up-to-the-moment market value of gold and silver can also be found here on the site. Lastly, we offer on this website some practical selling tips to help you have a better and more pleasant selling experience while obtaining the most money for your unwanted gold, silver, gems, jewelry, watches and other valuables. Some financial market experts believe that the price of gold and silver have reached a medium-term peak. If they are right, then today might be a good time to consider selling precious metals held as a hedge against dramatic economic events. For that same reason, folks with old, out-of-style, broken, or scrap gold and silver jewelry pieces in their possession — knowing that they will never use or wear them again, might also think favorably about selling these items while precious metals prices are still relatively high. All of the cash for gold merchants and dealers in our directory make it easy for you to turn your old, unwanted or broken gold jewelry or gold coins into the cash you need right now. Finding the right buyer for you is a simple and straightforward process. Use our site navigation tools to select your home state in our database. Then, find the city nearest you and browse for buyers among those that come up under your city. Alternatively, you can use our website’s search bar to find a gold dealer or bullion exchange near you. Just query our database by city name or zip code. Why Use a Cash for Gold Service? Today, people can sell their unwanted coins, jewelry, and other items to realize the value of the precious metal in them and end up with some extra spending money in their pockets. Based on current market prices for precious metals, reliable cash for gold dealers can weigh your items, evaluate their value for you, and make you a cash offer for them. Many cash for gold services will also make offers on platinum jewelry, collectible coins, flatware, watches, diamond gemstones and other valuable items. Some items made from gold have a greater value when they are sold as they are, rather than melted down. An example of this is a gold necklace from the collection of a celebrity or a well-known designer or jewelry-maker. In such cases, a piece will likely fetch a price beyond the melt value of the gold it’s made of. The weight of your gold will help you determine its selling price. Keep in mind that not all gold pieces are equal. Pure gold is far too soft to be used to make jewelry, therefore; gold is commonly combined with other metals to enhance the durability and color of the jewelry piece. The ratio of gold to other metals in jewelry is referred to as “fineness.” Traditionally, the fineness of gold is expressed in the number of “karats” where one karat equals 1/24 of pure gold by weight. Using this information, you can know that an item made from 14 karat gold contains 14 parts gold for every 10 parts of some other metal that might be copper, silver, zinc, platinum, palladium or rhodium. If your 14 karat gold jewelry item weighs exactly one ounce, then you know that you actually own a bit more than one half of one ounce of pure gold. All that remains is to multiply that one half ounce by the current price of gold to estimate the present value of your item. Having a good sense of what your jewelry is really worth before you shop it around for sale will help you better appreciate and understand any offers you get for them. When choosing a dealer to sell your gold to, you need to know what to expect in terms of the complete buying process. This includes everything from the delivery of your gold for inspection through the offer process, your acceptance of any offer and the final payment to you. Procedures for selling gold to online dealers vary. If your preferred buyer is not around the corner from you, they will commonly mail you a free, prepaid gold seller’s kit in which you can mail your valuables back to them for appraisal. Once they receive your gold, they will weigh it, assay its value, then make you a cash offer. If your buyer has a physical location near you, then you can bring your golden items to them to have them evaluated on the spot. Because you want to receive a good and fair offer, you will want to choose a respected and reputable merchant. As with all things, the responsibility for undertaking proper due diligence on prospective buyers is on you. For the sake of convenience, the Internet itself can supply you with all the resources necessary for investigating the reputations of prospective buyers. You will want to deal with a merchant with a convenient process and a solid reputation for customer satisfaction. Consumers should do their homework before selling their gold to an online dealer. Follow these practical tips to make sure you are getting the highest level of service and the most value when you offer your gold for sale. Call a local jewelry store or check online to get the current spot price for gold. You need to know the market price for it before you sell your pieces in order to appreciate what a fair selling price is. Separate your jewelry pieces into batches by karat value before offering it for sale. Insist on getting separate quotes for each batch. Some dealers will weigh all of your jewelry together and offer you a price based on lowest karat value. Don’t be concerned if your piece of gold jewelry is broken or out-of-style. A merchant will still buy it for its melt value. As with all other commodities, the price of gold fluctuates on the market. If you hesitate to cash in your gold when you can and prices fall, you may wish in the future that you have pulled the trigger sooner. Don’t ignore silver coins, silver flatware, silver jewelry or anything else made of silver. Sterling silver is an alloy that consists of 92.5 percent pure silver. Jewelry and other items made from Sterling silver will commonly bear a stamp or seal containing the words “Sterling” or “925” somewhere on them. Any gold-buying service will gladly make you an offer to buy any Sterling silver items you may want to sell. With gold prices near all-time highs, there can be no better time to cash in your unwanted gold. Use our directory of cash for gold merchants to find a gold buyer near you. If you can’t make it to their location, they will send you a secure postal envelope in which you can use to send your item for a risk-free appraisal and a fair offer price. This site (www.usacashgold.com) is a business directory and financial information site. We are NOT an investment advisor. Making investment decisions based on information derived from this site is highly discouraged. Decisions pertaining to investments must be made based upon the user's own judgment and accountability. We shall not be held responsible or liable for any loss or damage as a result of incorrect or incomplete information in this page. 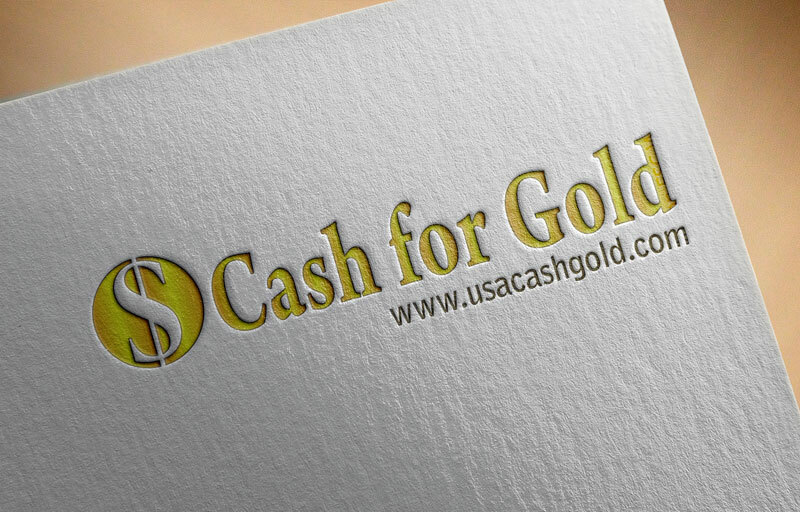 Precious metals prices displayed in www.usacashgold.com are provided by a third party supplier and are not necessarily real-time, nor accurate and may differ from the actual market prices. All the information published on www.usacashgold.com is strictly for personal use.